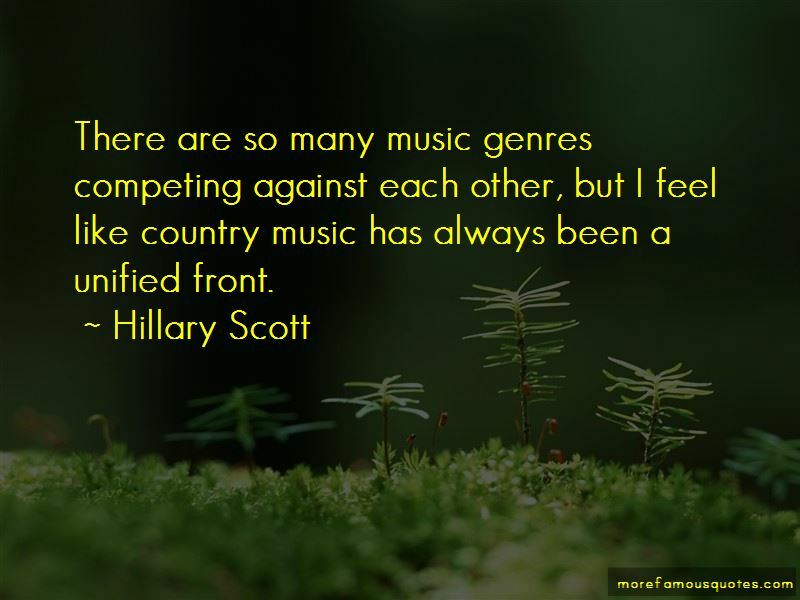 Enjoy the top 25 famous quotes, sayings and quotations by Hillary Scott. 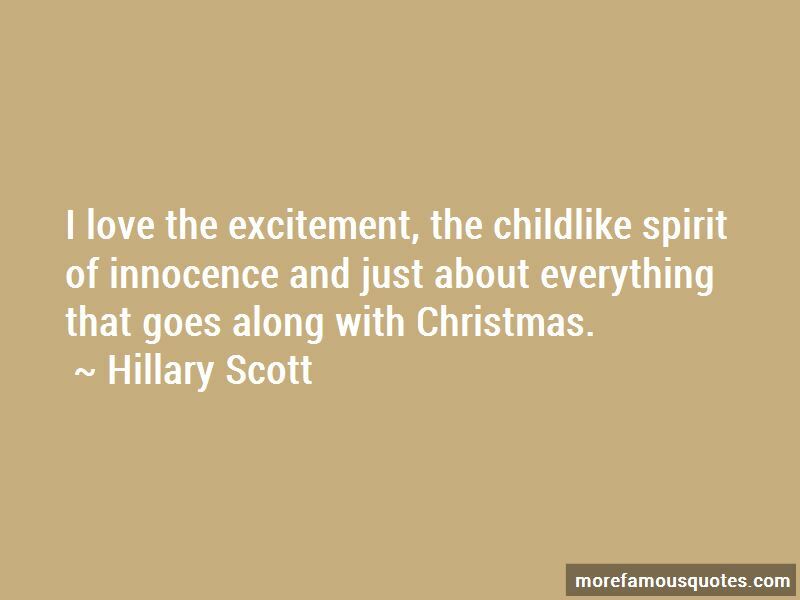 I love the excitement, the childlike spirit of innocence and just about everything that goes along with Christmas. Chris proposed exactly the way I've always dreamed. Our families were close by, but it was just us out on a beautiful deck overlooking a lake in East Tennessee. We had just been on a hike and - in our workout clothes - he hit the knee! We feel so blessed by God that He sent us each other, and we are looking so forward to forever together. I've been told I'm an old soul, but I'm only 25. I have the old with the new in me, and my house reflects that. I absolutely love the fact that they are looking out for me and it's not really even just Charles and Dave. Out on the road, I'm one of very few girls out here. There's a lot of pseudo big brothers who are keeping an eye out on me. Honestly, being in a band with two guys has prepared me so much for when it's time for me to get married! I was homeschooled on the road for kindergarten, then went to elementary school and a private Christian school while living with my grandparents until I graduated, and I loved it. But my parents were gone a lot. 'Need You Now' is a universal subject matter. It's something that not just country fans, not just pop fans - everybody's been there. And the production was a little left of center. 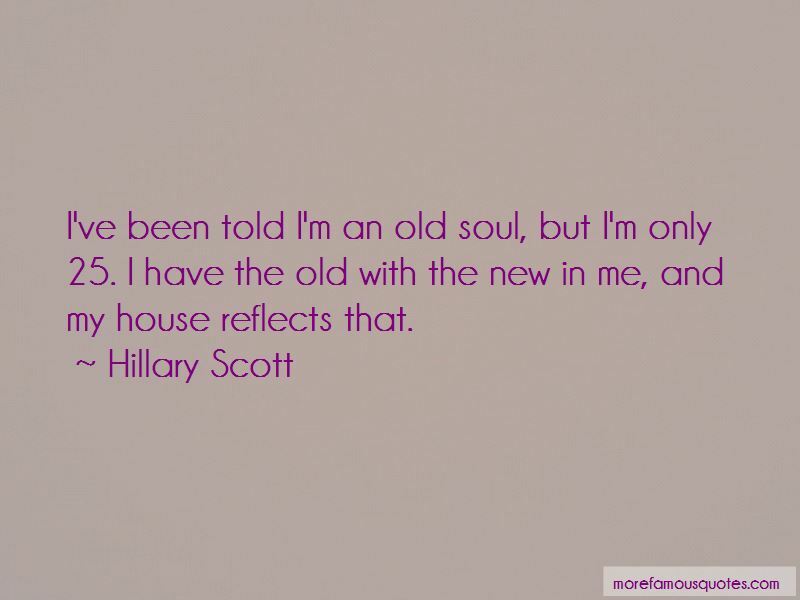 Want to see more pictures of Hillary Scott quotes? Click on image of Hillary Scott quotes to view full size.